Book-It Repertory Theatre presents THE PICTURE OF DORIAN GRAY by Oscar Wilde, adapted by Judd Parkin and directed by Victor Pappas, from June 6 to July 1, 2018. Librarians at Seattle Public Library created this list of books, music and films to enhance your experience of the show. 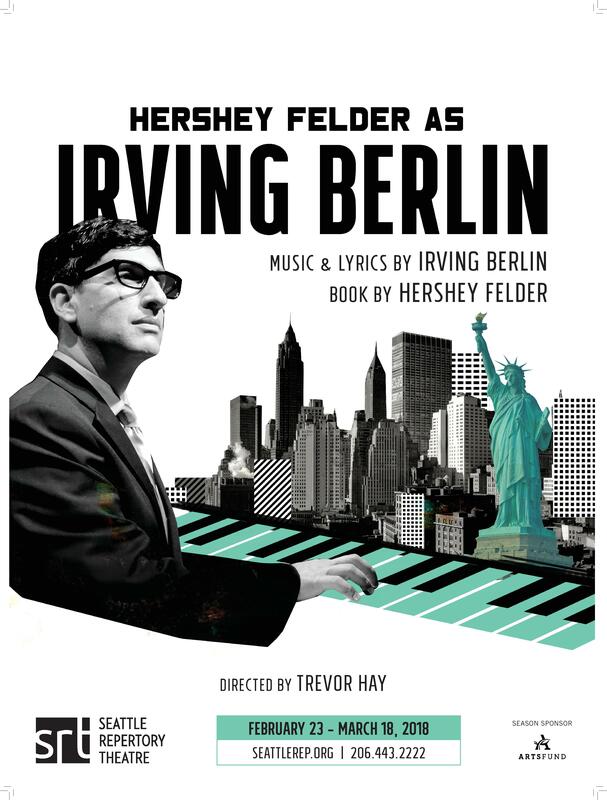 Seattle Repertory Theatre presents HERSHEY FELDER AS IRVING BERLIN from February 23 to March 18, 2018. Librarians at Seattle Public Library created this resource list of books, CDs, DVDs and musical scores to enhance your experience of the show. “Alexander’s Ragtime Band” “Blue Skies” “Always” “Cheek to Cheek” “Puttin’ on the Ritz” “Easter Parade” “What’ll I Do” “How Deep Is the Ocean” “The Song Is Ended” “God Bless America” “White Christmas”…the list goes on and on…and on! Irving Berlin was a tireless worker who wrote over 1500 songs – a staggering amount – and what’s even more remarkable than the sheer number of songs is the high quality of so much of his work. Regardless of whether he was writing for the stage, for film, or stand-alone popular songs, he was a master songwriter (without ever having learned to read music). From his birth in Russia in 1888 to his death at age 101, The Seattle Rep’s “Hershey Felder as Irving Berlin” explores the man behind all of this extraordinary music. From Imperial Russia to the streets of the Lower East Side, ACTOR AND PIANIST Hershey Felder takes us on a journey through “AMERICA’S COMPOSER” Irving Berlin’s incredible and fascinating life. Featuring Berlin’s most enduring tunes including “God Bless America” and “White Christmas,” this musical portrait is an uplifting IMMIGRANT TALE that breathes new life into THE AMERICAN DREAM.